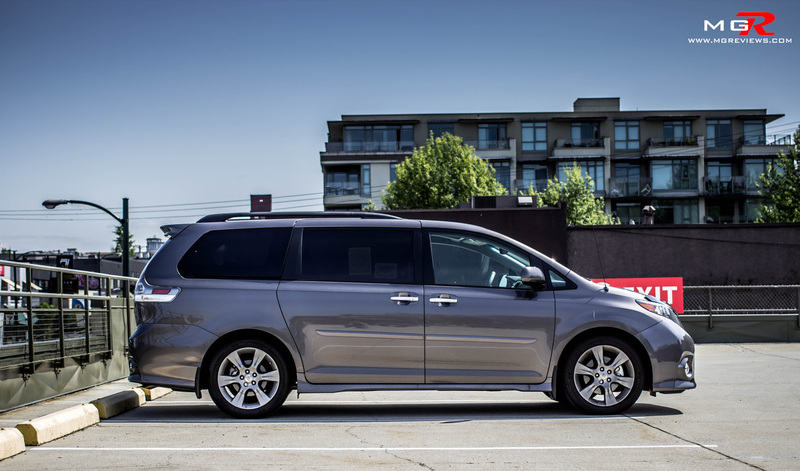 A minivan is nothing more than just a box on wheels. At least, that’s the stereotype that we’ve all come to believe over the years. 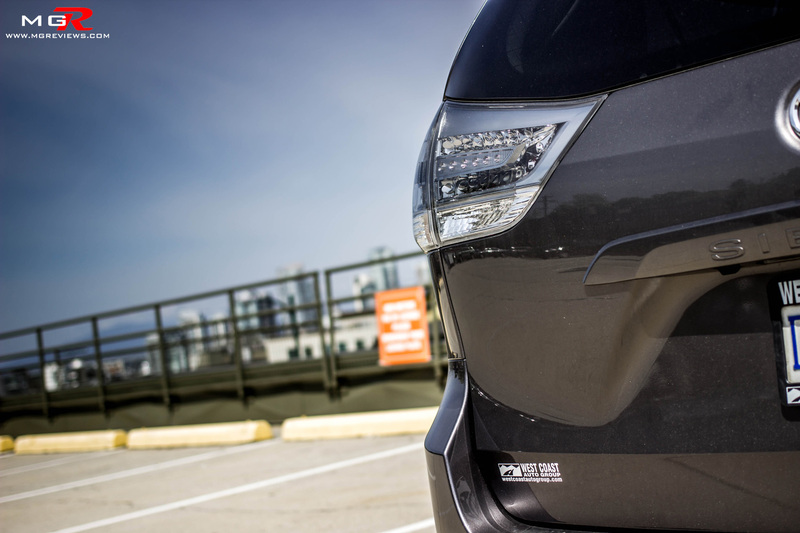 However, Toyota is trying to change that stereotype and make minivans feel like more than just boxes on wheels. 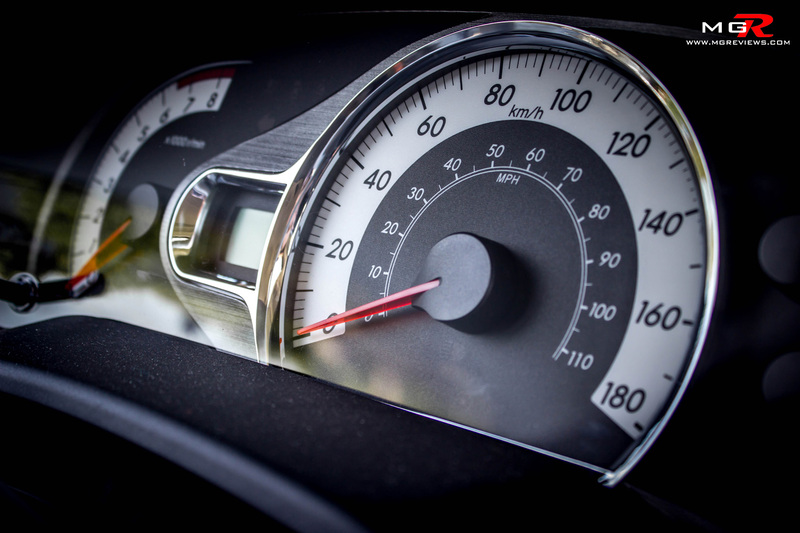 Performance – The performance of a minivan isn’t so much about 0-100km/h times or how fast it can go around a corner but rather how easily it can haul its weight and the weight of what’s inside it. Weighing in at almost 2000kg and a GVW rating of 2715kg, the engine needs to be powerful enough to move that much mass but still needing to be fuel efficient. 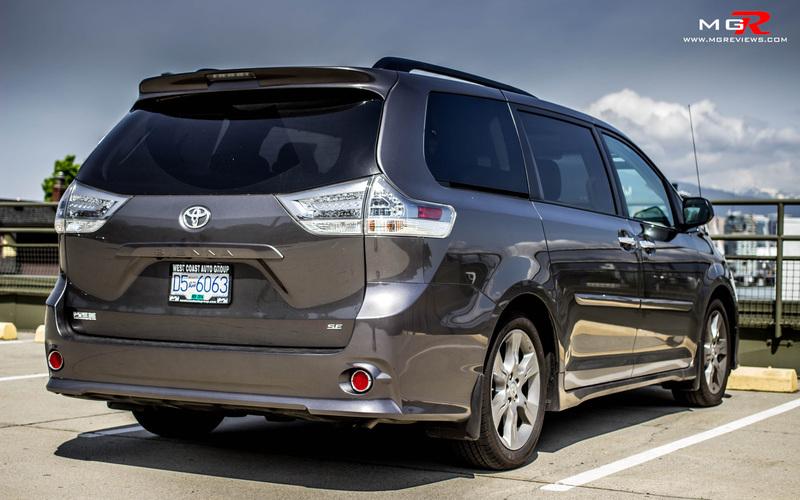 Toyota decided to stick with the same 3.5L V6 that was in the previous generation of Sienna. It develops 266hp and 245 lb-ft of torque while sipping fuel at a rate of 11.4 L/100km in the city and 7.9 L/100km on the highway. 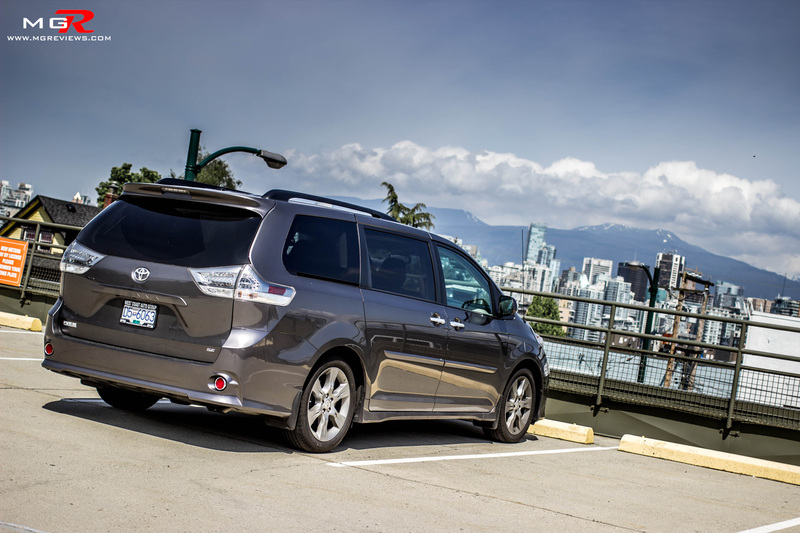 The fuel consumption figures are quite good for a V6 especially when you keep in mind how much the Sienna weighs. In terms of power, it has plenty despite the massive 2 tonne weight. I was actually surprised at how quickly I accelerated up to speed because it felt very effortless and smooth. 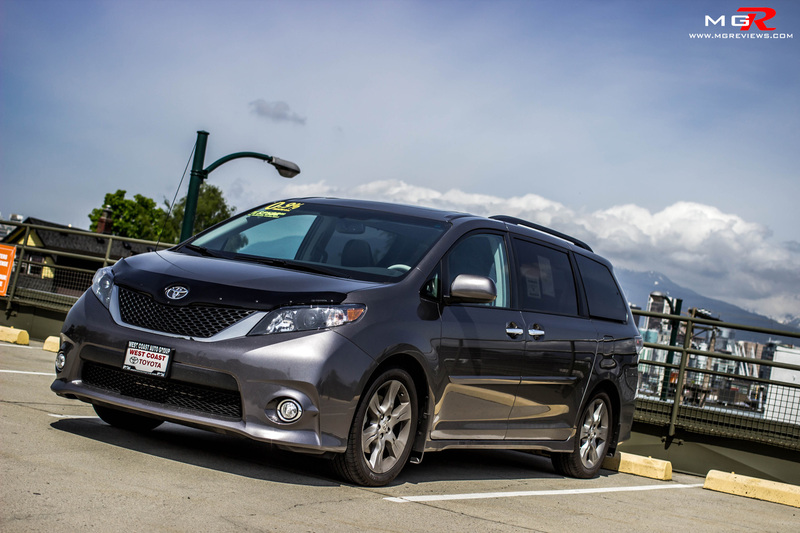 Two aspects that stood out for me in the performance category of this minivan is; first, that the Sienna is available with all-wheel-drive and secondly, the turning circle is unbelievably tight which makes for very good manoeuvrability in tight situations. 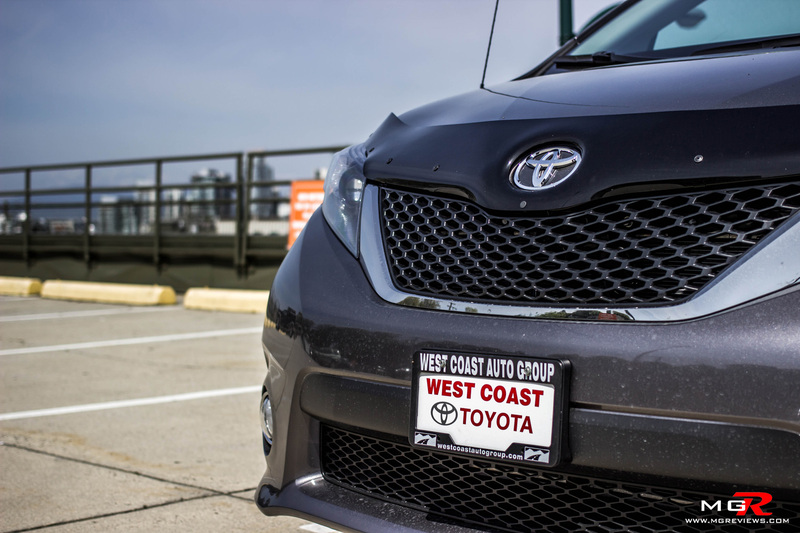 In a city like Vancouver where it rains a lot and the snowy mountains are close by, having the security and extra traction of all-wheel-drive is a good option to have for adventurous families. 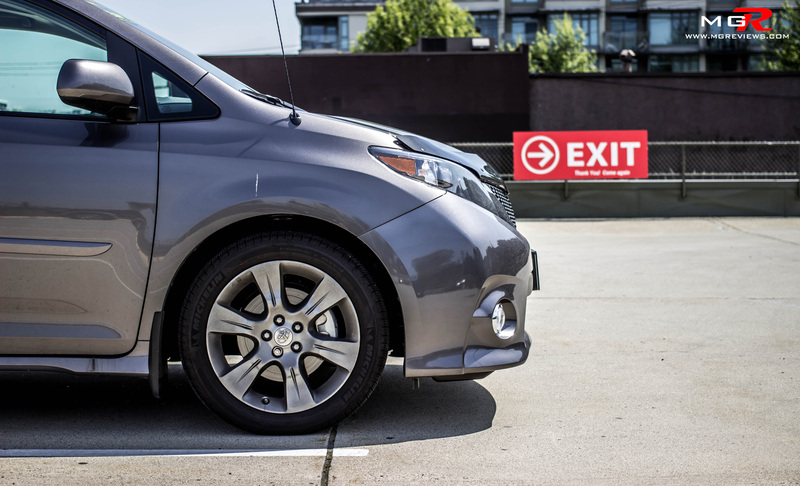 As for the turning circle, if it was any tighter then the Sienna can turn on a dime… literally. 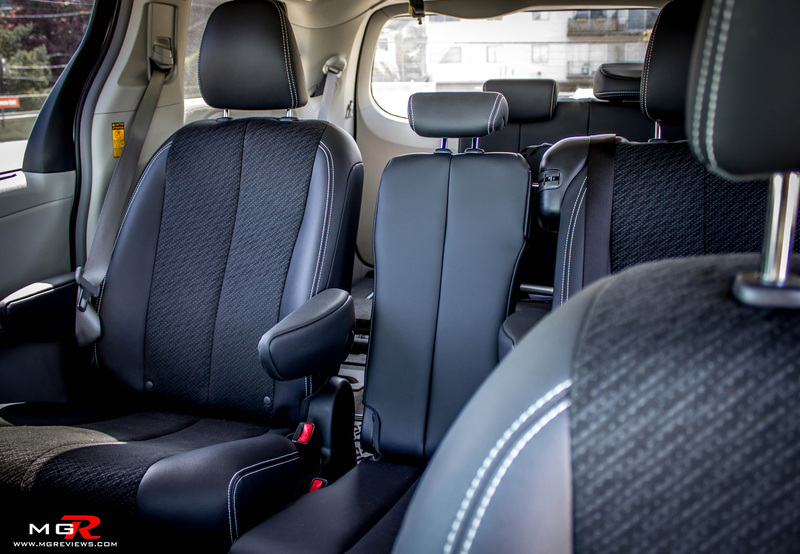 Comfort – The interior of the Sienna was designed with a large family in mind. 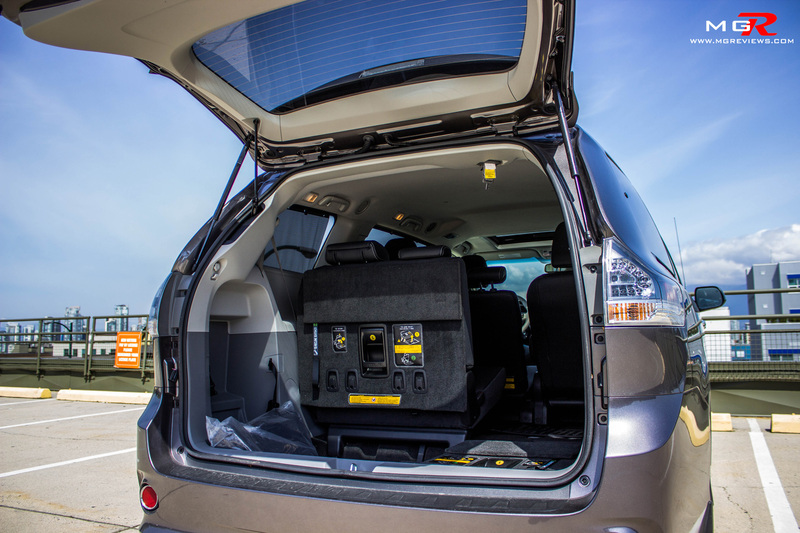 There are “secret” storage spaces everywhere in the minivan and most are large enough to swallow everything from toys to tablets. Cup holders are also plentiful with at least 6 in the front seats alone and a lot more in the second and third rows. Seating is 2 in the front, 3 in the middle, and 3 in the back seats for a total of 8 (only on the SE and LE models). All of the other models have seating for 7. 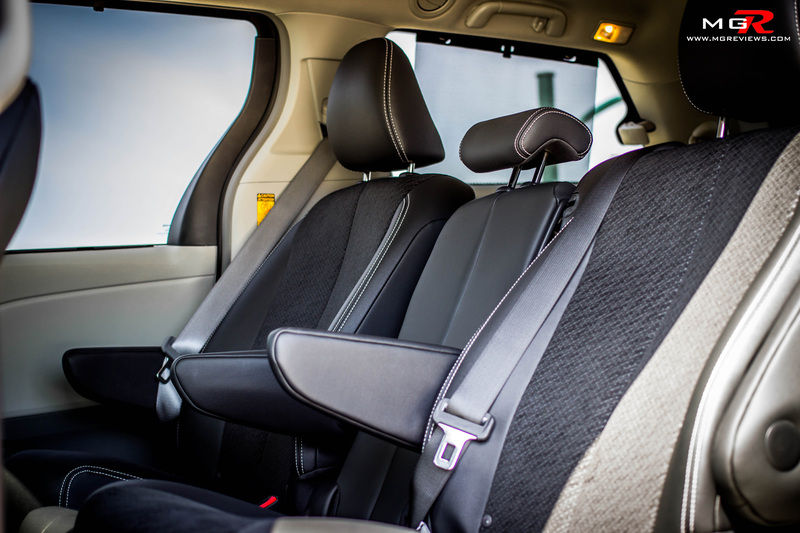 The back seats fold into the floor but unfortunately the middle row of seats have to be removed for transporting larger objects. 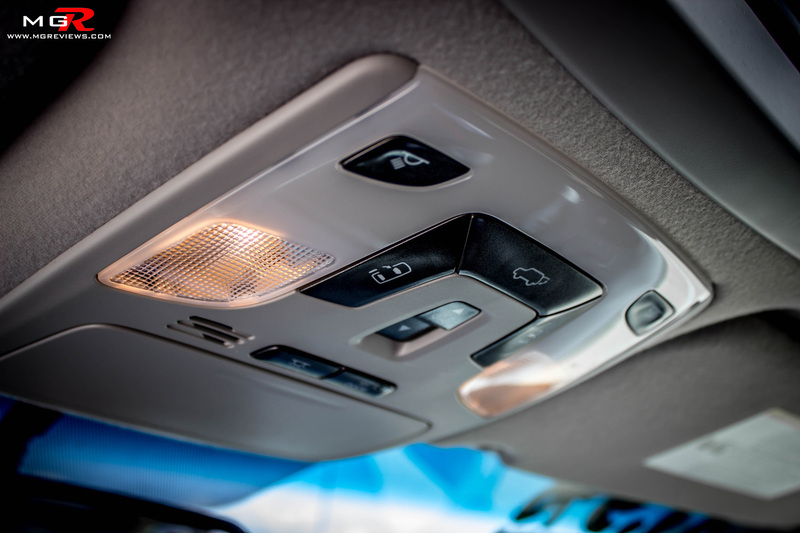 The sliding doors and tailgate can be controlled via buttons on the roof next to the sunroof controls and the Sienna is also available with a mobility conversion for those in wheelchairs. 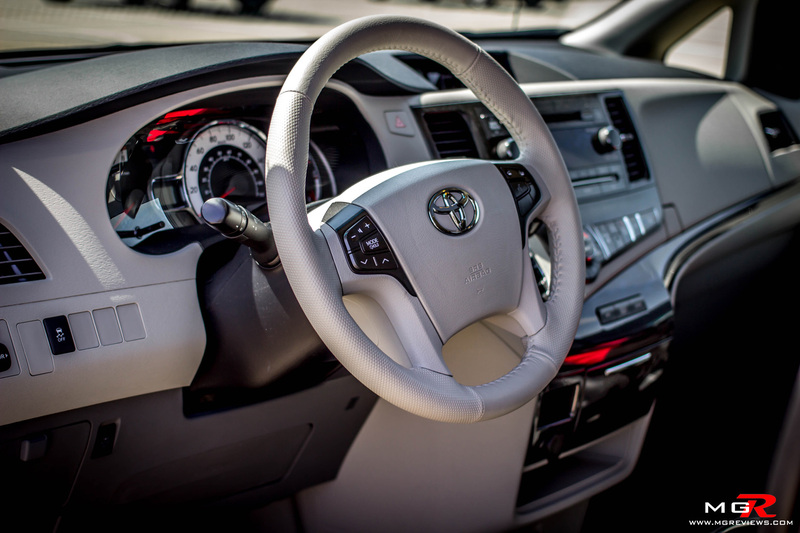 The design of the interior is simplistic but it is still a nice place to spend a lot of time in on long road trips. 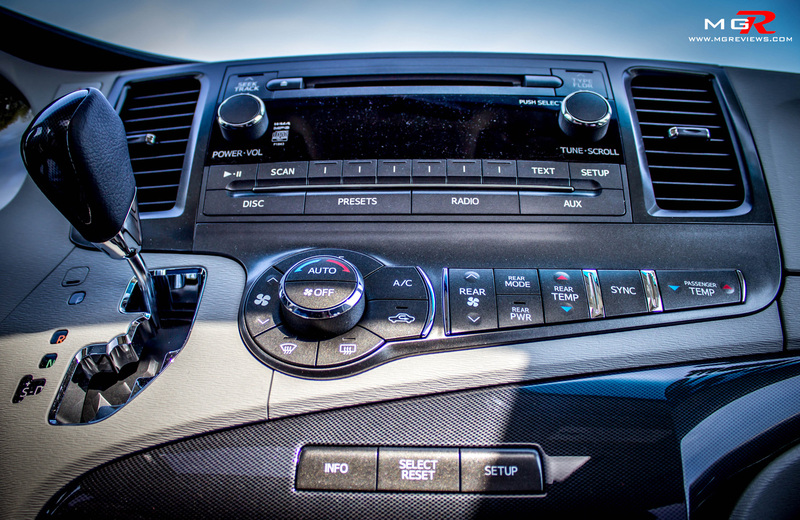 Satellite navigation, satellite radio, USB connectivity, and Bluetooth are available while the kids in the back can enjoy watching their favourite shows on the 16.4” overhead dual DVD entertainment system. One option that I’d highly recommend ticking on the options list is the reversing camera. It helps a lot when parking the long minivan in tight spots. 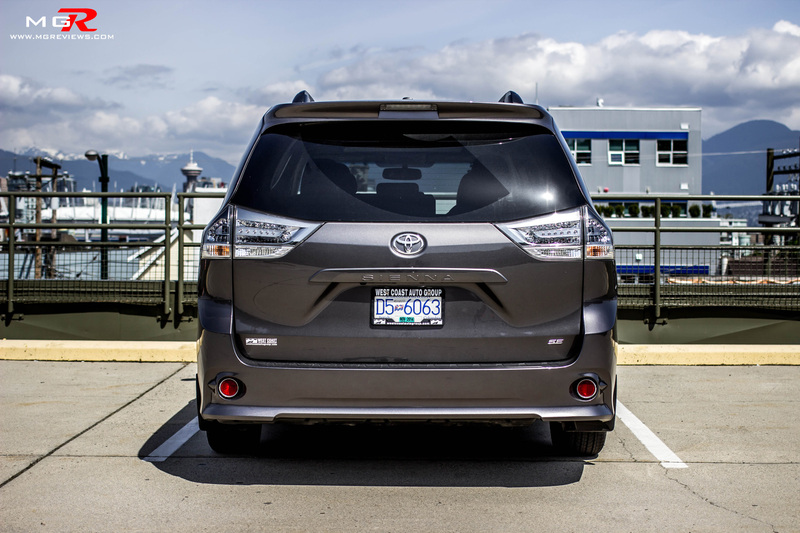 Odds and Ends – Typically, minivans have bland and forgetful styling but, like I said earlier, Toyota is trying to shed the boring minivan stereotype and gave the Sienna an “out of the box” exterior design. 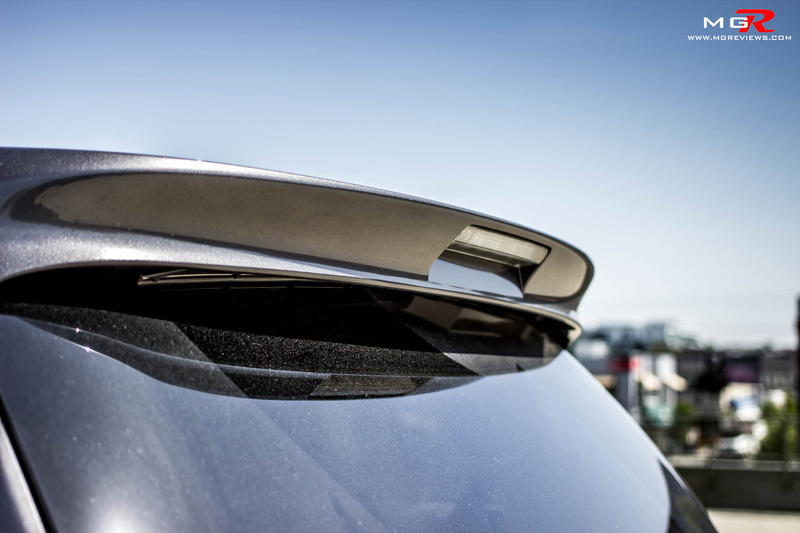 Normally full LED taillights, aero body kits, and sharp teardrop shaped headlights are found on sports sedans but these design cues are on a minivan. 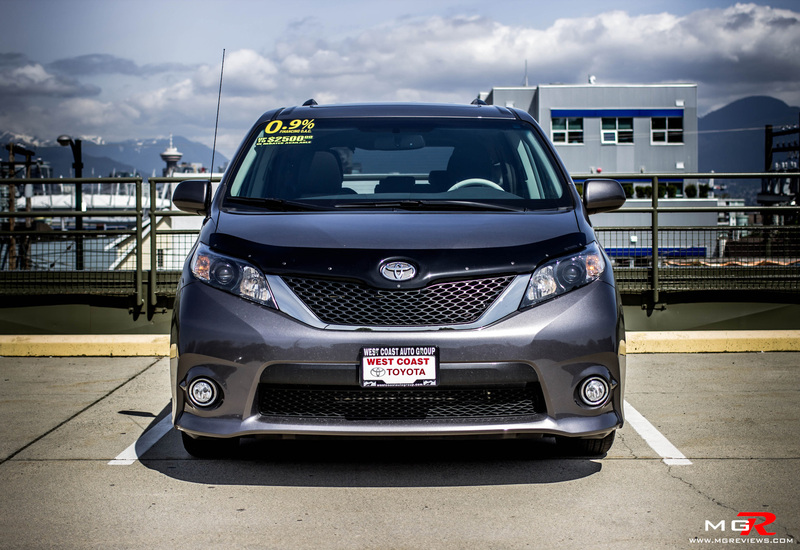 Compared with the previous generation Sienna, this one definitely stands out more at the local supermarket. 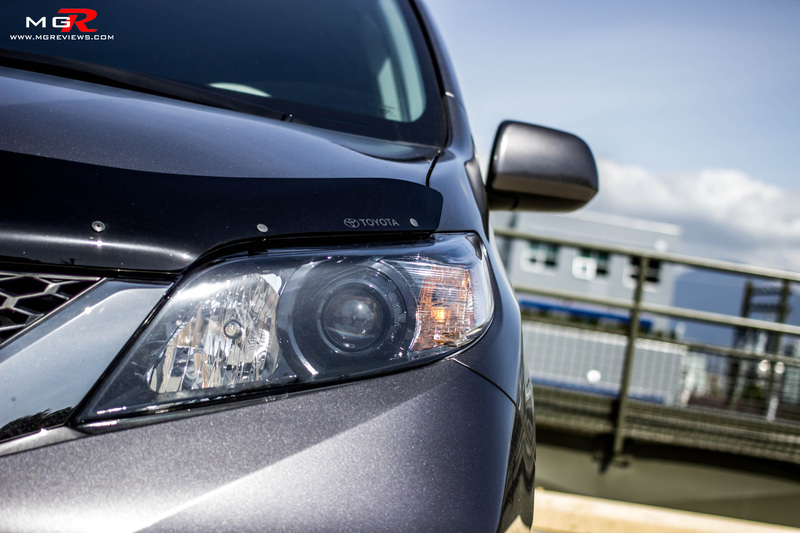 In the end, I actually ended up liking this minivan more than I was expecting to. The engine produced more than enough grunt for city driving, the suspension provided a plush ride, and the amount of space inside is mindboggling. 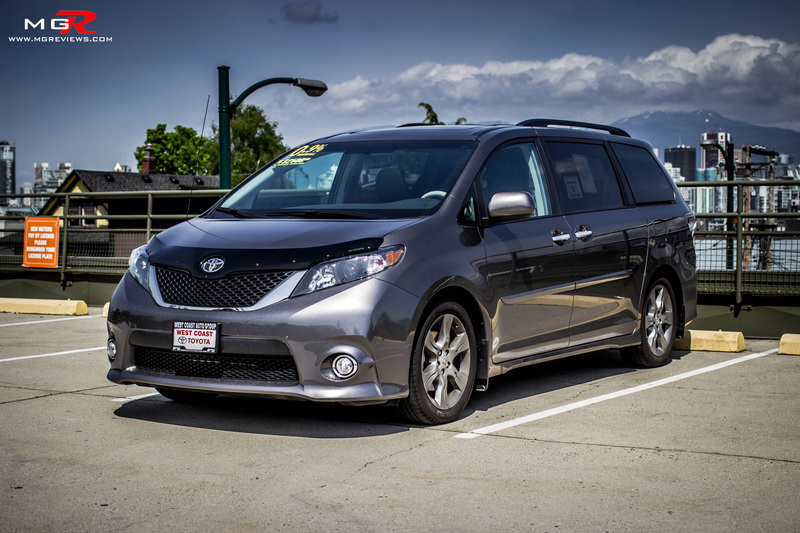 If you’re had to say goodbye to the sports car because of children, the Sienna is a good alternative to consider as the family car.